We’ve been hearing for years that Millennials are huge fans of travel, preferring to spend money on experiences rather than traditional possessions. 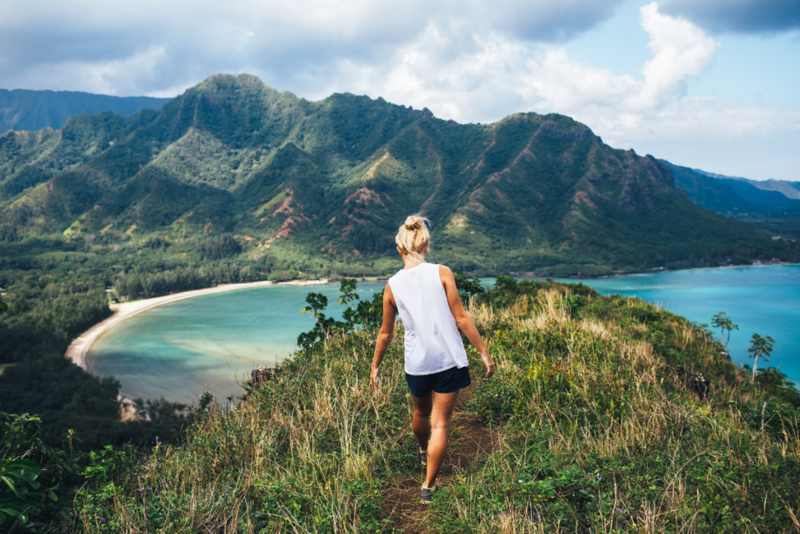 The latest surveys reveal that even though some of their travel behavior is evolving, Millennials’ love of travel isn’t fading, and may even be increasing in 2018. Millennials’ travel obsession has this group prioritizing saving for travel over saving for the future, which may leave them ill-prepared for some life challenges. 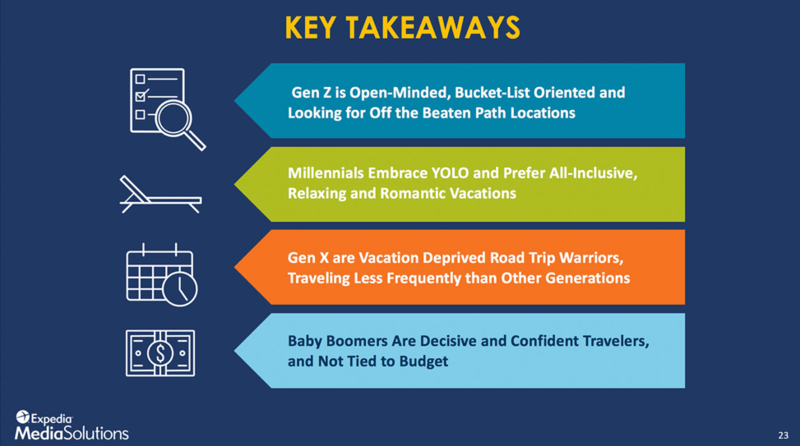 Let’s see what the latest reports from Expedia, AAA, AARP, and Travelport reveal about Millennial travel in 2018. Millennials’ obsession with travel has been used to characterize this generation as self-indulgent or lazy. That’s far from the truth. Millennials are most likely to take their work with them than anyone else. 74 percent of Millennials expect to bring work on a trip, compared to just 65 percent of Gen X and 56 percent of Boomers. Millennials have become experts at so-called “bleisure” trips, combining work and leisure. Forbes reports that more than three-quarters of Millennials intentionally carved out time for personal activities on a business trip, and over half of businesses surveyed now have a policy in place for employees in this age group to extend their business trips with vacation time. 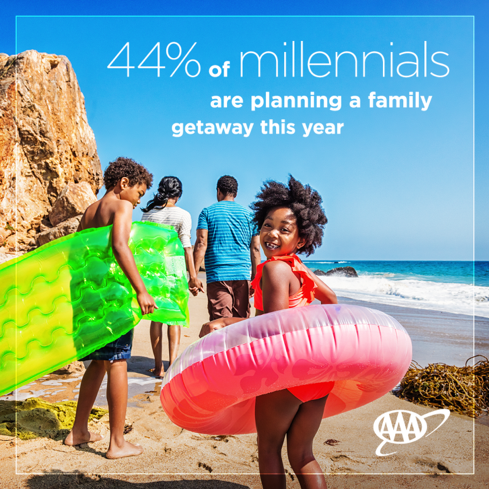 AARP’s 2018 Travel Trends survey found Millennials travel spending is estimated to be the highest of any generation this year. This age group will spend around $6,800 on vacations in 2018, more than Boomers at nearly $6400 and Gen Xers at $5400. Travelport found that 34 percent of Millennials plan on spending more than $5000 on vacations this year, more than any other age group. 55 percent of Millennials are planning to increase their vacation plans. Millennials are out-saving other generations, putting an average of 19 percent of their salary away per year. 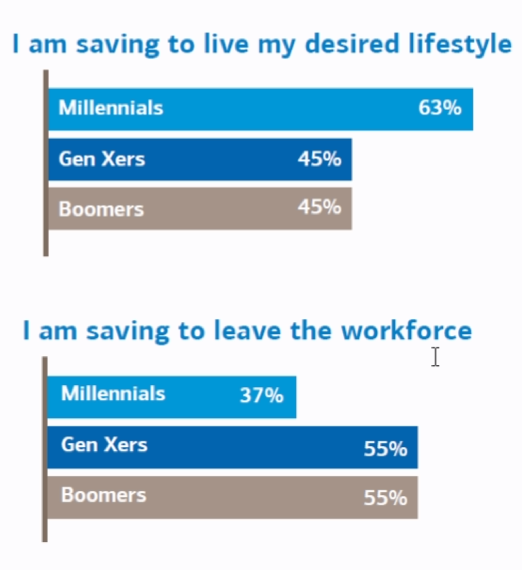 That is better than Gen Xers and Boomers, who are both saving around 14 percent despite being closer to retirement age. Millennials’ savings goals are just different from past generations. Millennials are prioritizing travel and an enjoyable lifestyle over saving for retirement or traditional savings goals such as buying a house. 65 percent of Millennials are currently saving money specifically for travel. 63 percent are saving for their desired lifestyle, and just 37 percent are saving to leave the workforce. Millennials’ travel obsession may leave them ill-prepared for unexpected expenses. 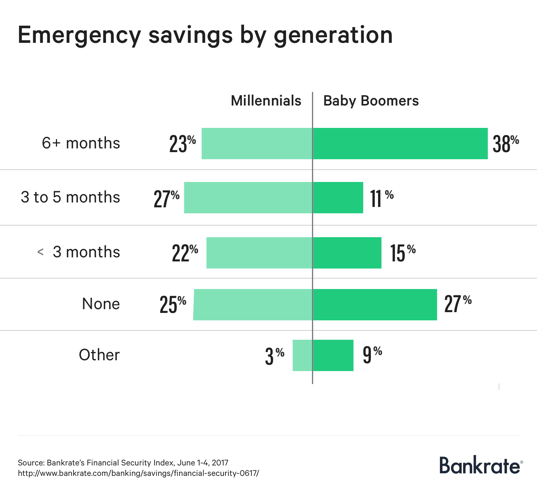 A recent CNBC report found that 25 percent of Millennials had no emergency fund savings, 22 percent had less than 3 months, and only 23 percent had 6 months’ worth of expenses in their emergency savings fund. If you would like some help creating a financial plan that will allow you to save for travel while still meeting other saving goals such as creating an emergency fund and saving for retirement, reach out to skilled financial planner Matt Logan at www.MattLoganInc.com or call at 336-540-9700. We will help you develop a workable financial plan that will suit your lifestyle and savings goals.